It is South Australia's worst plane crash since the Whyalla Airlines disaster in 2000. 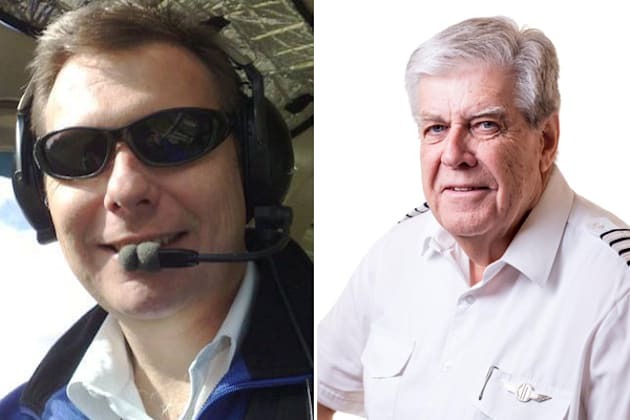 Experienced chief pilots Martin Scott (left) and Paul Daw (right) have been named as two of the victims of Tuesday night's light plane crash in the Riverlands in South Australia. Three Adelaide men have been killed after a light aircraft crashed near Renmark Airport in the South Australian Riverland on Tuesday. The men -- chief pilots Martin Scott, 48, and Paul Daw, 65, and Civil Aviation Safety Authority (CASA) employee Stephen Guerin, 56 -- were all experienced pilots and it is not yet clear what caused the crash. The identities of the men were released on Wednesday morning after South Australian Police confirmed the fatalities late on Tuesday. A search team had found the plane wreckage at 7:10pm that night. Private aircraft charter company, Rossair Charter, has now grounded its entire fleet. It confirmed in a statement that the company owned the aircraft and would be working closely with authorities to determine the cause of the crash. Chief pilot Martin Scott was originally from Cornwall, England, and had been working at Rossair Charters since September 2015, according to his LinkedIn profile. He was also an experienced helicopter pilot, conducting rescue operations in the Kimberley, and had worked for various aviation companies across Australia. Paul Daw, 65, was a flying instructor with Adelaide-based flying school Bruce Hartwig and was just three days away from finishing his role there when the tragedy occurred. Footage taken from a Channel 7 helicopter shows the mangled wreck of the light plane which crashed with three people on-board on Tuesday night. "Typical of Paul, at 65 he had no intention of retiring from being a pilot, so he was working with Rossair to continue his unrelenting passion for all things aviation," the Bruce Hartwig Flying School said in a statement. "Hartwig's and the aviation community will not only grieve at the passing of a tremendous individual, but also for the significant loss his family suffers. "Paul was a very well-known, highly experienced and respected senior pilot. We will all miss our dear friend and valued colleague." The South Australian Aviation Museum, where Daw also worked as Collection Manager, said they were "devastated" by news of his death. "We offer our sincere condolences to Paul's wife Anne, daughters Emma and Rachel, son Simon and brother Nigel," they said. "Paul will leave a huge gap in our organisation and our hearts." The third victim, Stephen Guerin, 56, was a representative from the government's Civil Aviation Safety Authority (CASA) and had previously experience as a pilot. "The aircraft, a Cessna Conquest, was on a training flight from Adelaide to the Riverland and return," Rossair said. "The loss of company personnel was profound for the families concerned and all company employees." It is South Australia's worst plane crash since eight people died in the Whyalla Airlines disaster in 2000. 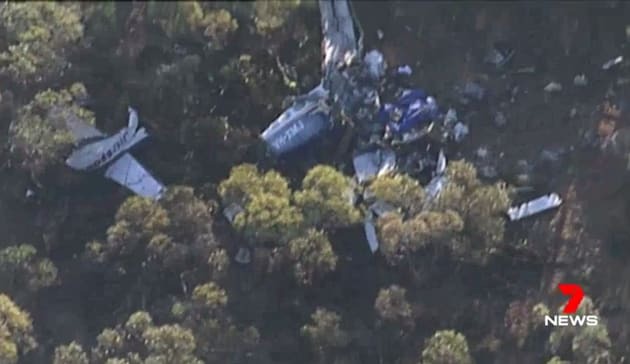 South Australia police have cordoned off the area and the Australian Transport and Safety Bureau have initiated an investigation into what caused the crash. CASA paid tribute on Wednesday morning to their employee of nine years and "true gentleman", Stephen Guerin. Guerin was on board the training flight to observe operations as part of CASA's routine safety work when the plane crashed. CASA said he would be remembered by colleagues as a man "passionate about aviation, meticulous about safety, and widely respected". "He was active in community service and known as a 'true gentleman'." Federal Transport Minister Darren Chester said he was "saddened" to learn of the three deaths, including that of public service employee Stephen Guerin. "Mr Guerin was regarded as a well-respected aviation professional, and I extend my sympathies to his family and work colleagues," the Minister said. "On behalf of the Australian Government I would also like to extend thoughts and prayers to the family and loved ones of all those on board." On Tuesday, South Australian Police said that authorities were alerted to an Electronic Locator Transmitter warning from a Cessna Conquest aircraft around 4:30pm. The 10-seater aircraft had left Adelaide at about 4pm. A ground search performed by local patrol officers located the crash scene just after 7pm, four kilometres west of Renmark Airport. Major Crash investigators travelled to the scene to assist the Australian Transport Safety Bureau in the investigation into the crash. South Australian Premier Daniel Andrews said the crash was "tragic news". "I offer my heartfelt sympathies to the families of those who have died," he said. Renmark-born South Australian Senator Anne Ruston tweeted that the deaths were "horrible, horrible news". "My thoughts and prayers (are) with loved ones who have tragically lost family members tonight in a plane crash in Renmark," she said.